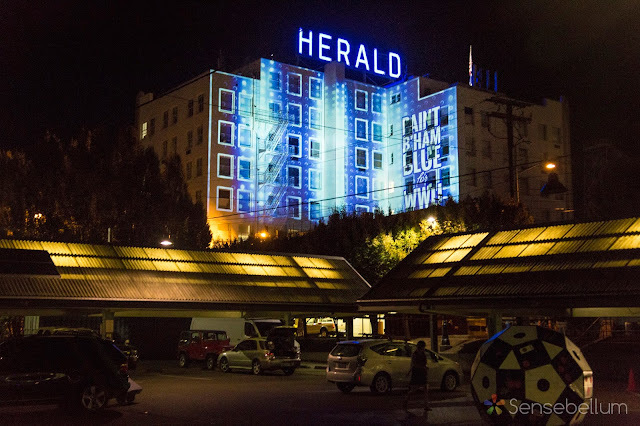 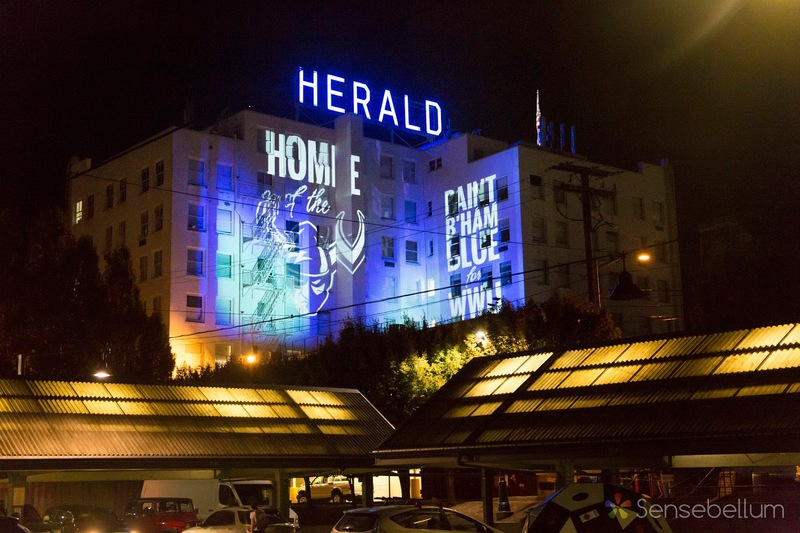 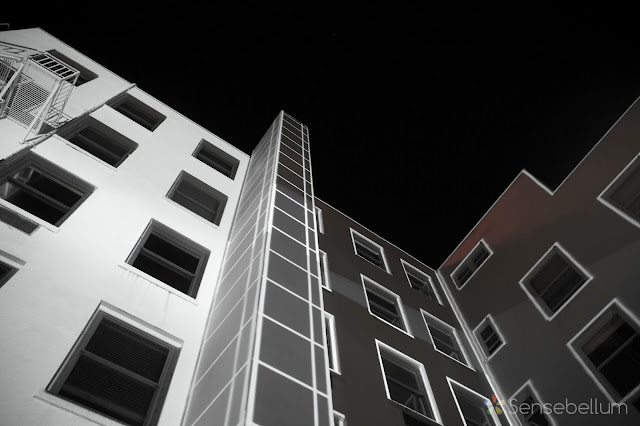 This last week, we had the amazing opportunity of getting to projection map on the Bellingham Herald building for WWU's back to school event! 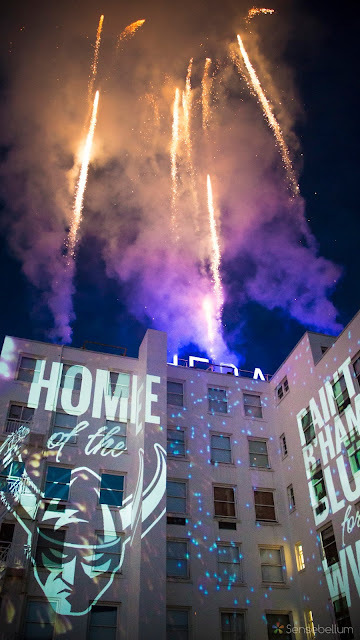 Our minds were blown by how awesome the whole event turned out! 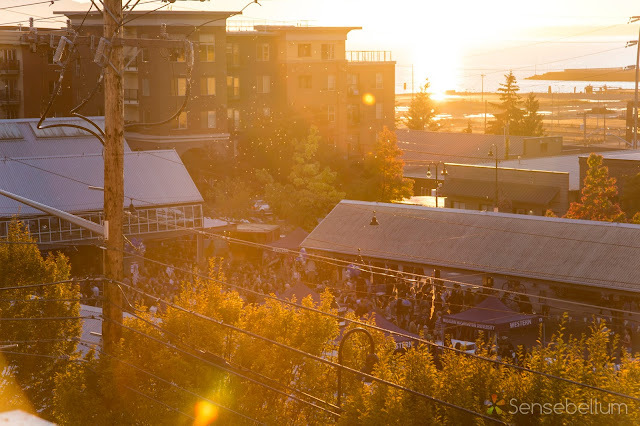 The energy was great the entire time as Bellingham greeted the new students in style! 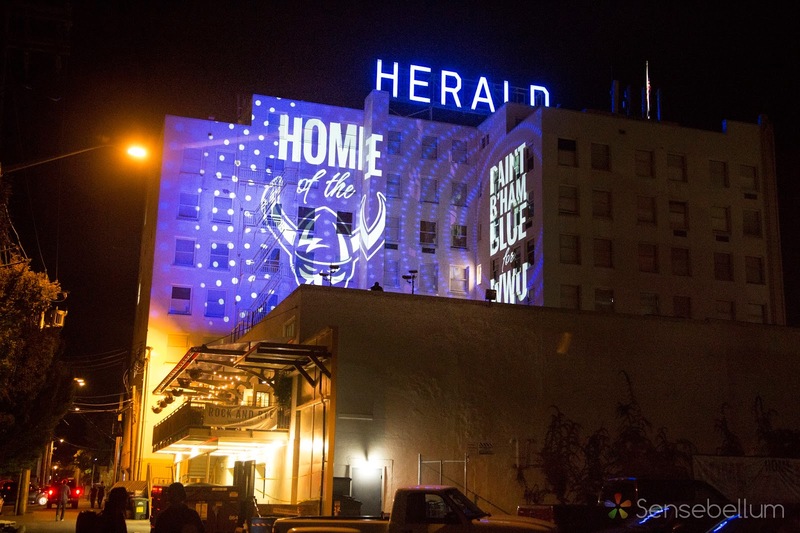 The event featured changing the Herald sign to blue for the first time ever accompanied by an exciting firework show!